Domain Name B.LY is now being auctioned at Sedo. 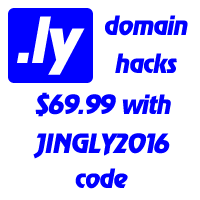 It also includes the additional domains: BE.LY and BEE.LY. The current bid (as of 3rd of November 2010) is 3,000 euro.